Ok. Here’s the thing. 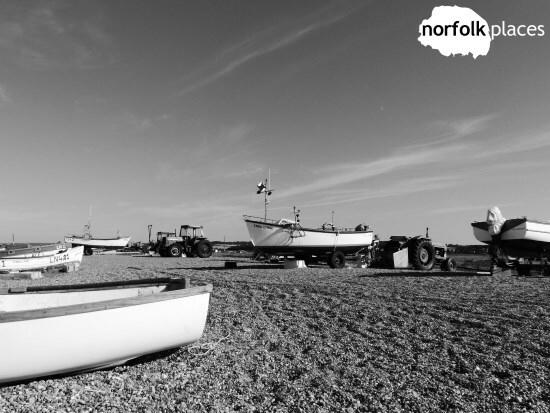 We have taken thousands of photos of Norfolk over many years, even before NorfolkPlaces was a genius of an idea in the boss’s brain. We’re not professional photographers, but we do occasionally take some pictures that we think,”ooh, that’s nice”. We thought it would be a nice idea to put together 5 of our favourite pictures we’ve published so far, however, we couldn’t make our minds up about our favourite 5 photos, so we’ve gone for 40ish instead. That’s probably too many to put in one article so we’ll drip-feed these to you over the next few weeks. 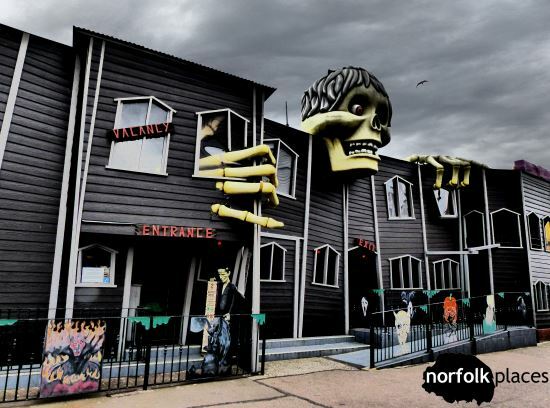 So, here goes – 5 photos from the NorfolkPlaces archives. Actually, there’s really 6 photos. In the article header we’ve also added a new photo from an as yet unpublished article. The photo was taken of a field (I’m guessing barley, but I’m not an expert) on a walk to Salhouse Broad. Moving on to the photos in the body of this article, we’ll start off with one of my favourite photos. It was from a set of photos we titled Atmospherics, featuring several moody shots taken on an overcast day in Great Yarmouth. Given the photos was of the Ghost Train, the sky worked nicely! Of course, it’s almost always sunny on the Norfolk coast so the sun did come out later, and we created a second set of photos called Colourful Yarmouth. 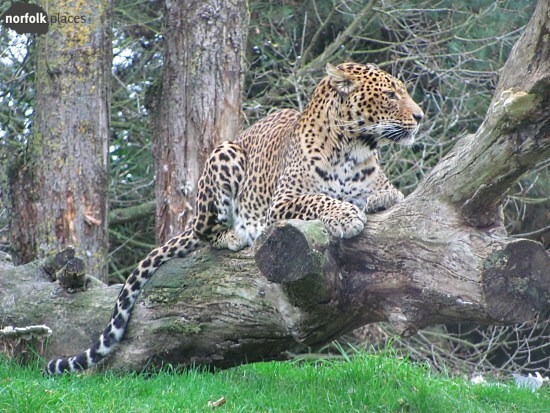 This photo of a Leopard at Banham Zoo was included in a review of Banham Zoo back in 2011. 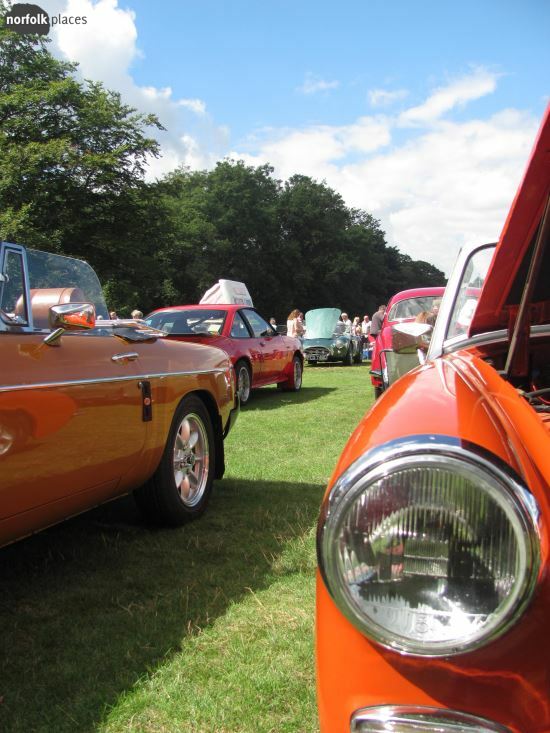 I quite liked this picture taken at Norwich Motor Show back in 2013. 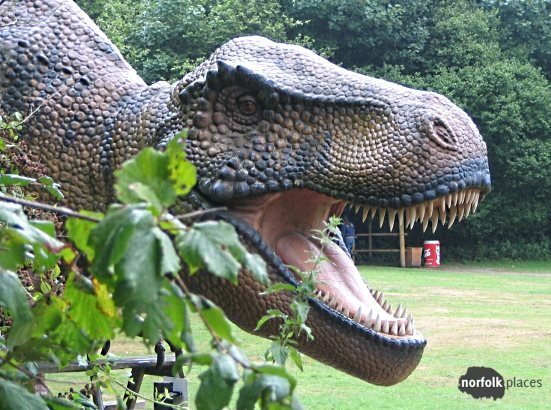 I’ve always liked this photo taken at Roarr! Dinosaur Adventure, even though it’s not the best composition. Perhaps I like it because there’s a person in T-Rex’s mouth and a “Cola can” bin too. It is from our first review! way back in 2011. With over 90 miles of coastline in Norfolk there has to be a beach featured in the first set of favourite photos. Yes, there are plenty of sandy beach photos we could’ve chosen, but we think this black and white photo taken at the start of a walk along Blakeney Spit to Blakeney Point is a nice one to conclude this article. By the way, the shingle makes it a challenging walk, but it is absolutely well worth doing. We hope you have enjoyed this look back of some of our photos. We take so many that we can’t put them all on here, but we do add more to our Facebook and Instagram accounts so please follow us there.